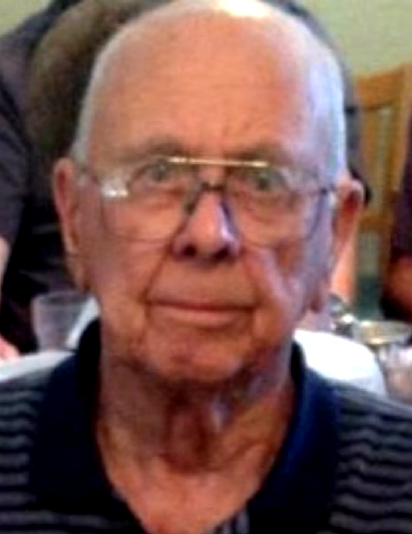 Robert Wendell Beck, age 94, of Avilla, died Thursday, January 31, 2019. Mr. Beck was born June 14, 1924 in Syracuse, Indiana to Calvin E. and Izel B. (Whitehead) Beck. He graduated from Syracuse High School in 1942 and attended Indiana University where he played basketball. In May of 1943, he enlisted in the United States Army and honorably served his country during WWII. In March of 1946, he was separated from the Army and he enrolled at Manchester College in North Manchester, Indiana to complete his degree and play basketball. Later, Wendell was inducted into the Manchester College Hall of Fame for his achievements in basketball. After he graduated from Manchester, he was a teacher and coach for 14 years at Avilla High School. He left education to begin a new career in school equipment sales with Imperial Supply and later farm equipment sales with S.C.S of Franklin, Indiana. He married Audra M. Schilling on December 31, 1949 and she preceded him in death on July 8, 2016. Wendell enjoyed playing golf and fishing. Daughter, Wendy and Joe Kelley of Plymouth, Indiana. Daughter, Cinda and John Davis of Pittsboro, Indiana. Daughter, Jennifer and Gregory Leonard of Denver, Colorado. Son, Bob Beck of Orlando, Florida. Seven grandchildren and seven great grandchildren. He was preceded in death by two brothers, Charles Beck and Richard Beck. Visitation will be held Tuesday, February 19, 2019 from 1:00 – 3:00 PM at Hite Funeral Home in Kendallville. A memorial service will follow the visitation at 3:00 PM at Hite Funeral Home. Memorial donations may be made to the Special Olympics of Colorado in honor of Wendell’s granddaughter, Amanda Leonard.